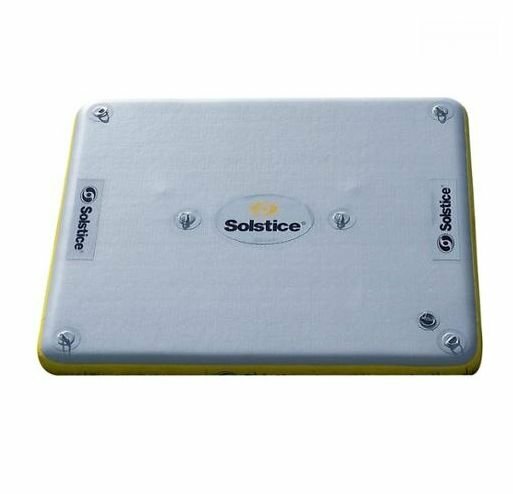 Solstice 8'x5' Dock - Free Shipping! Shop Home > Fun Stuff > Solstice 8'x5' Dock - Free Shipping! This highly durable inflatable dock provides a stable platform to use in any body of water. Solstice docks are constructed with a durable 1000 Denier 3-ply PVC reinforced fabric material, which can be used as a dock for paddle sports or a floating oasis for lounging. This dock has a 4- to 6-person capacity. It's very lightweight and easy to carry.